If you’re a salesperson, you probably understand the importance of having an online presence and building a valuable personal brand. Even if you aren’t doing a very good job of managing it, you still understand how important it is, right? A big part of that brand includes your social media presence. Sure, Facebook is great for sharing cat videos with your old college buddies, but I’m talking about the professional side of social networks—for example, using Twitter to showcase your expertise and knowledge in a particular area and using LinkedIn to “meet” prospects long before you actually meet them in person. 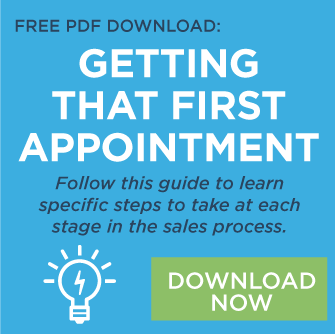 If you’re not yet using LinkedIn, Twitter, and even Google+ effectively to interact and engage with prospects, customers, and other industry thought leaders, don’t worry… this post is written just for you. Here are five easy ways salespeople can start using blogging and social media to increase your sales performance and grow your personal brand. 1. 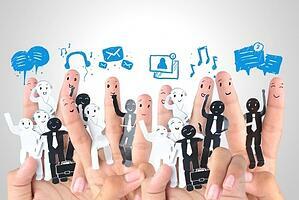 Share content from your personal or company blog. Do you or your company have a blog? This is the best source of content you could possibly have to share with your network and stand out against the competition. Share old and new blog posts, share links to landing pages to download ebooks, and invite others to subscribe. Take it one step further by including a personal takeaway. Don’t just share the link – add a line about why you think this article is important or useful or a quote from it that you found memorable. 2. Give shout-outs to your clients, colleagues, and partners. If your client just won an award, congratulate them publicly. If a colleague is speaking at a conference, give them some love. Do you have partners that are publishing great content on industry trends? Share their posts. When it comes to social media, sharing is caring, and it only takes a click of the mouse to let someone know you’re thinking of them. 3. Curate content from thought leaders in your industry. If you aren’t already following the top blogs and websites in your industry and market, then it’s about time you start subscribing. Set up a RSS reader (like Feedly) or just subscribe by email. Whether you sell online advertising or recycled cell phones, there are trends in your industry that you need to keep up with in order to be a valuable resource and a successful seller. Spend ten minutes a day catching up on relevant articles and news, and then click to share with your social media networks. On Twitter, you can do this as many times a day as you want, but for other sites, be more judicious and stick with one to three items per day to share. You may even want to curate the best content on your own blog (like we do on our Weekly Wrap-Ups). People love to give their opinion and share their experiences. These questions can vary from feedback on a product or service to broad topics such as their favorite blog to follow or favorite project management tool. As you pose questions, keep in mind the kind of person who you really want to respond. By engaging in this way, you can begin developing relationships that are more than just a social media connection. 5. Use images to tell a story. This is probably the most common social media advice you’ll hear. But that’s for good reason… because it’s really important! 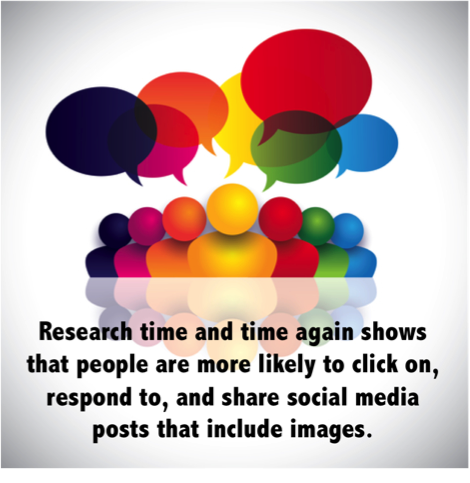 Research time and time again shows that people are more likely to click on, respond to, and share social media posts that include images. The research also shows that people read captions (text associated with an image) more than just about any other text. This is true for every single social media network. Try to make sure the majority of your posts have an image associated with it. Here’s an idea: If you happen to love motivational quotes or research stats, take some stock images and add some text to them. You could do this in minutes with Word or PowerPoint. (Seriously, if you want help, email me and I’ll give you a 90-second tutorial. I mean it.) You’ll have some unique images to share and you’ll feel pretty cool, too. Using social media for business purposes isn’t hard and can be a good use of your time. You can build your personal brand, strengthen your relationships, increase your sales closing rate, and maybe even learn a thing or two while you’re at it. I suggest you take these five tips and start implementing them into your weekly plan. I’d love to hear from you after a few weeks. Come back and let us know in the comments below!